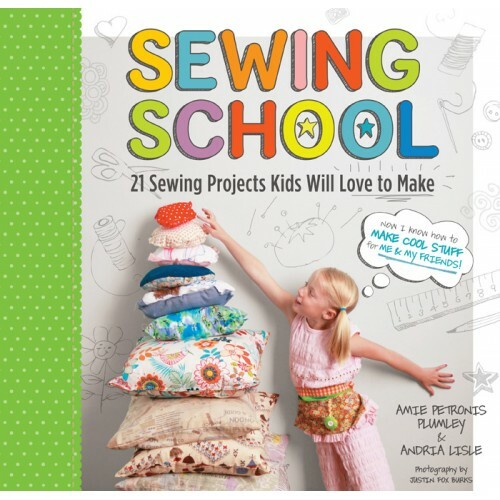 Sewing School authors Amie Plumley and Andria Lisle teach a sewing camp in Memphis, Tennessee, which has earned accolades from delighted children and parents. 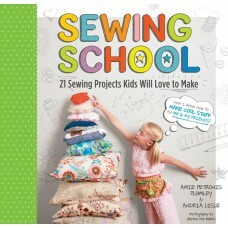 When families clamored for more, Plumley and Lisle launched a blog, sewingschool.blogspot.com, to rave reviews. Now, they've channeled the best of their children's sewing projects into this lively, how-to- sew book for ages five and up. Featuring 21 inspired projects for young sewers, Sewing School allows kids to create fabric masterpieces with minimal supervision. All projects have been kid-tested, most can be made using simple hand stitches, and all can be embellished with a personal touch, making them a terrific out- let for kids' creativity. To further inspire young needle-crafters, the book is peppered with photos and quotes from real boys and girls who have participated in the authors' sewing camp. Projects include items that children can hug (pillows, doll, blanket) , hold (wallet, tote, draw- string pouch) , give as gifts (coasters, glasses case, pot holder), and wear (sleep mask, hat, cuffs). Each project features step-by-step instructions written in a style to suit most children, a close- up photo of every step, and a photo of the finished project. The book includes full-sized cut- out patterns in a front pocket and instructions for how grownups can help. There are only a few sewing books written specifically for children, and none have the fresh look, fun voice, and contemporary feel of SEWING SCHOOL.